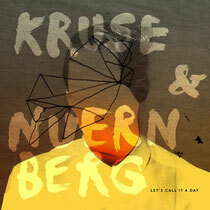 Kruse & Nuernberg release their debut artist album through Lazy Days Recordings in October. ‘Let’s Call It A Day’ sees the Hamburg based pair – who have previously released on labels such as Noir Music, Liebe*Detail and their own Save Room Recordings – step outside their boundaries to present an eclectic journey through their musical influences, including Indie luminaries Little Dragon, Metronomy and Phoenix. Live pianos and guitars meet their electronic world with finesse through 11 songs, moving through genres and tempos seamlessly in what Lazy Days’ boss Fred Everything has called “a classic dance album in the making”. The album features singer Stee Downes, who collaborated on last year's #1 ‘Want You In My Soul’ from Lovebirds, Nathalie Claude, who featured on Andre Lodemann’s ‘Searching’ and Japanese singer Miwaki. They also co-produced a piece with Florian Kruse's brother, and deep house legend, Vincenzo (Dessous, Poker Flat). 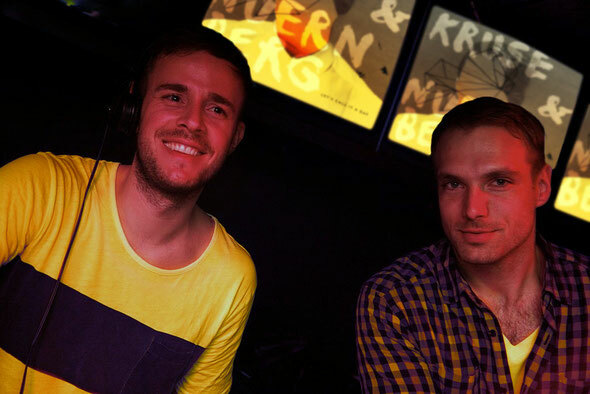 Kruse & Nuernberg have been on the forefront of the revival of the Deep House scene in the past few years. As remixers, they have put their magic touch to artists like Dennis Ferrer and Groove Armada as well as being remixed by legendary producers such as Tom Middleton and DJ Sneak. They are also part of the successful outfit ‘Wiretappeur’, who released on John Digweed's Bedrock label. The links between Kruse & Nuernberg and Fred Everything stretch back several years with each being a fan of the other’s work. Their first release on Lazy Days came in May 2010 and they have now recorded three EPs for the label, including a recent collaboration with Fred. The first single, ‘Last Chance’ featuring Stee Downes, is out now with forthcoming remixes by Spirit Catcher. The album is out October 1st.